Like Supercritical technology, Ultra-Supercritical technology uses even higher temperatures and pressure to drive efficiency up to 45%. Currently only around 3% of coal-fired power plants around the world uses Ultra-Supercritical technology. USC reduces CO2 emissions by up to a third compared to subcritical plants with the same amount of coal input. 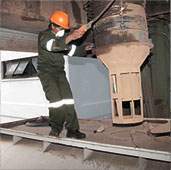 Manages emissions by trapping and removing fine fly ash in the flue gas up to 99.8% to prevent any contamination of ash fall. 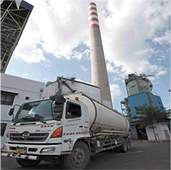 The effectiveness of electrostatic precipitator is proven by the stack emission parameters. Total particulate emitted is around 25mg/Nm3, far below the government threshold of 100mg/Nm3, with only 10% opacity, or half of the regulated maximum limit. 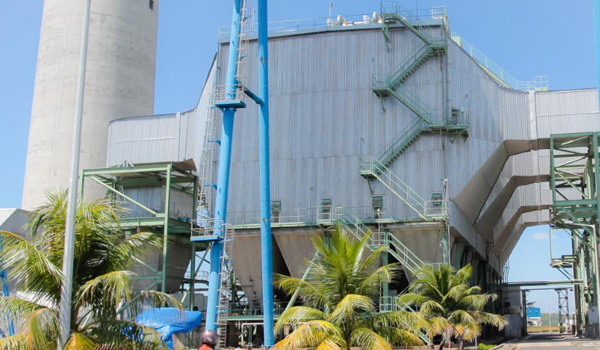 With a total capacity of 1,300 Tons, our Double Fly Ash Silo provides sufficient storage capacity prior to being transported to a cement factory nearby. Therefore fly ash land filling is not necessary. Only to be used in emergency cases when trucks are not allowed to transport the ashes to the cement factory. This usually happens during holiday seasons. 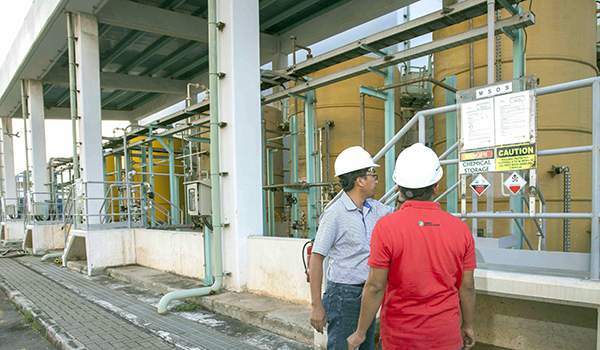 This facility treats all waste water generated during the plant’s operation and maintenance period. We conduct daily monitoring and send the samples to an independently certified laboratory for monthly monitoring. 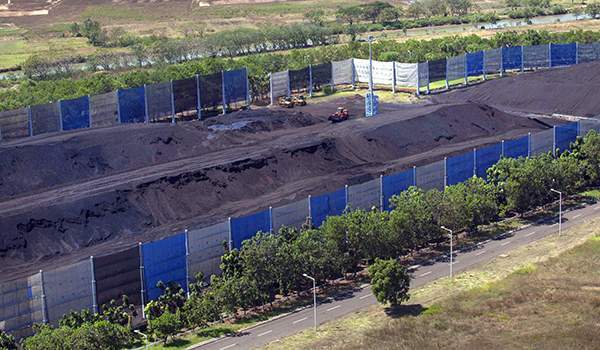 Designed to treat Fly Ash and Bottom Ash at the temporary storage. 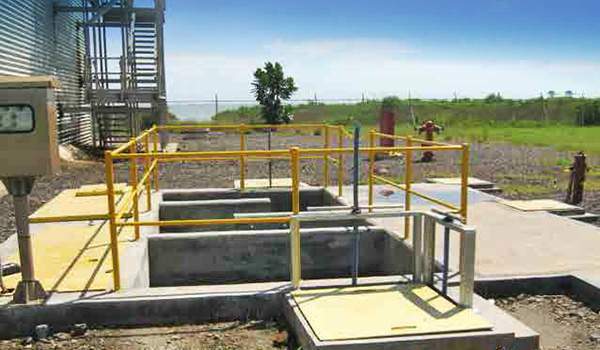 This treatment plant does not operate frequently, because there are no fly and bottom ashes in the ash pond, hence there are no contaminated water. This is where we treat coal run off contaminated water just in case our coal settling ponds cannot process the fine particles. 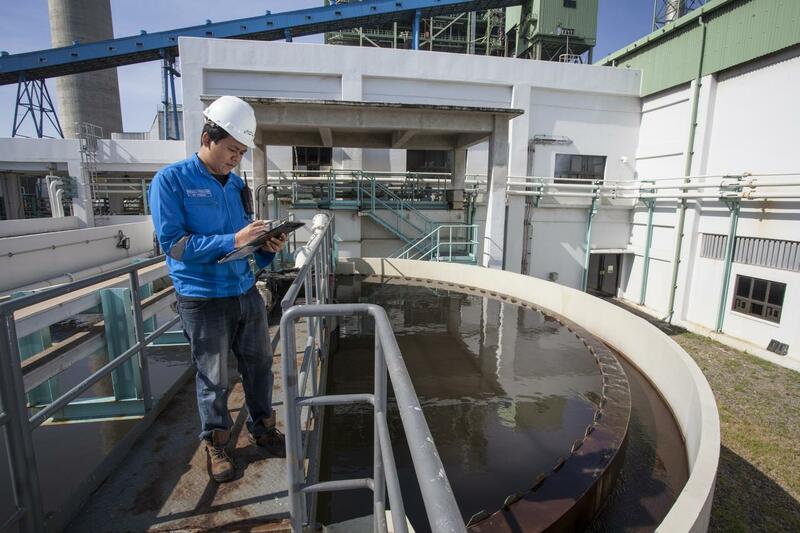 With this facility, we are able to process all sanitary waste water and make sure our sewage does not contaminate ground and surface water around us. What Are Fly Ash and Bottom Ash? 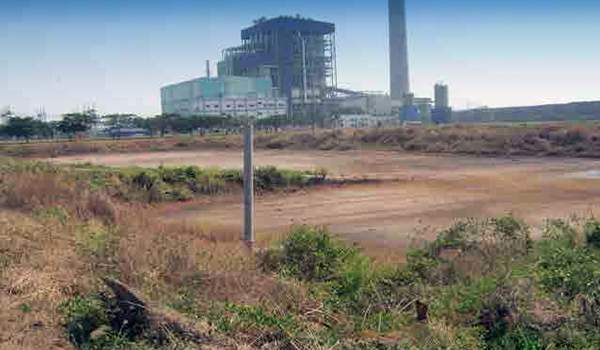 Power Plants produce Fly Ash and Bottom Ash as a result of its coal burning process. 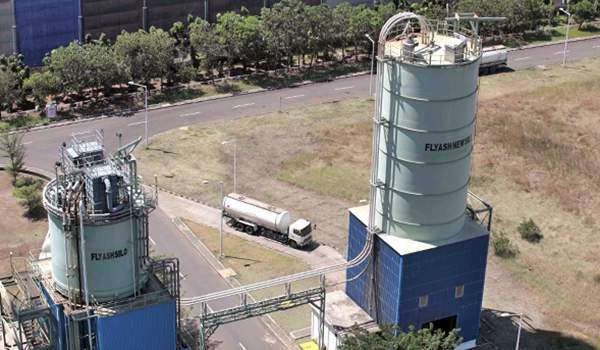 Our double fly ash silo has a total capacity of 1,350 Ton and functions as a temporary storage. 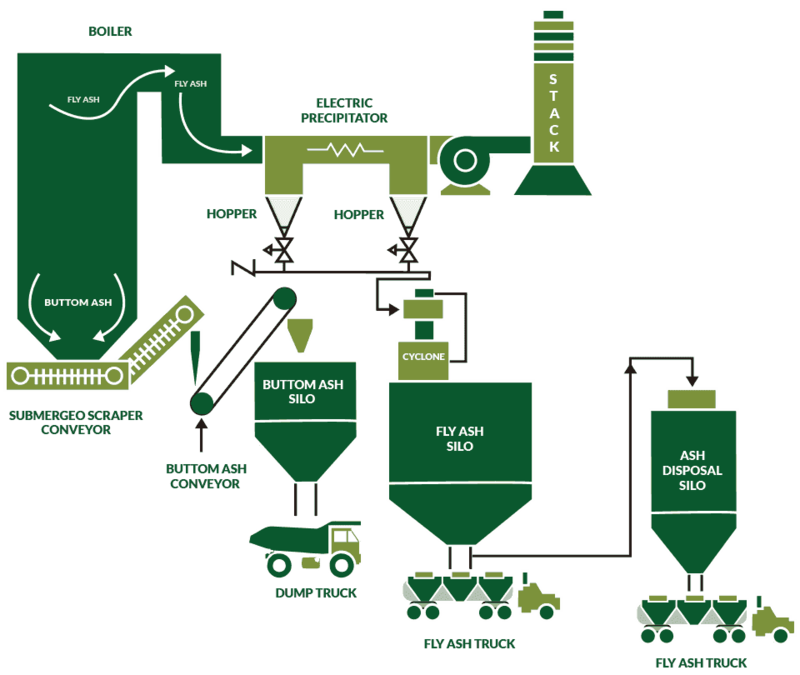 From here, 100% of the ashes we produce are transported to the nearby cement factory to be used as the main components of cement production. Our ponds are always empty; this means there are no ashes piling up or flying around on our plant. We line our Coal Storage, Coal Run off Settling Pond and Temporary Ash Storage with a High Density Poly Ethylene (HDPE) membrane. 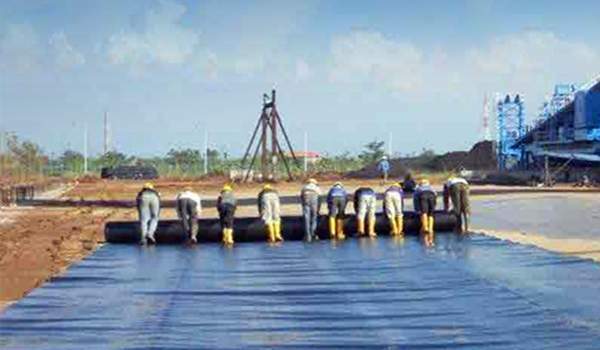 This strong thick plastic sheet prevents ground water and soil contamination, by ensuring not a single drop of coal & ash-contaminated water seeps into the ground. This is the final guard of storm water drainage before heading to the sea. The interceptor pit filters and settles contaminated water, to make sure our water discharge does not contain any traces of coal or other particles. 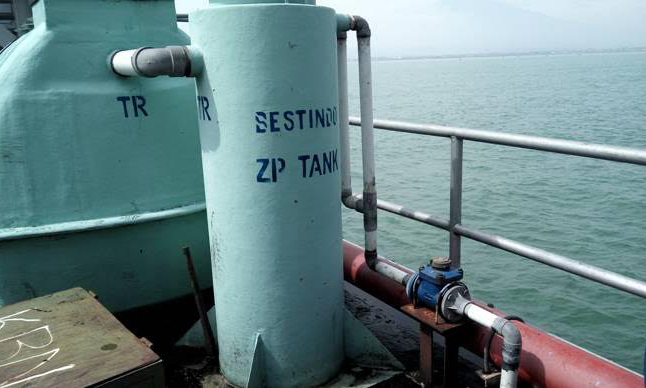 From here, water is then discharged to the sea via our outfall area. Our Coal Storage is surrounded by a 13-meter high Wind Breaker fences. This way, we can minimize coal dust from spreading into our surroundings. Then we planted more than seven layers of Acacia Mangium trees to maximize the function. 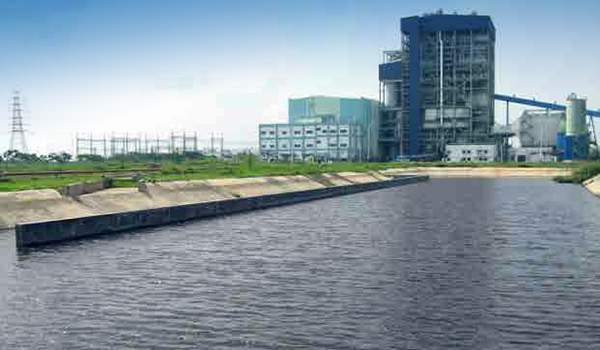 Power plants use water from the sea and then discharge it back to the ocean. Sometimes, due to the process, the discharged water is a lot hotter than its normal temperature. 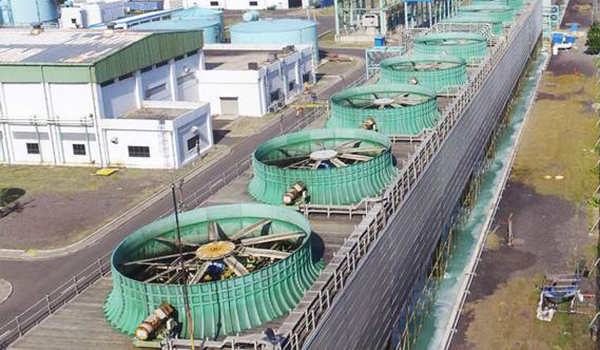 We are the first large coal-fired power plant in Indonesia to implement a closed cycle cooling tower. This means we do not hurt the temperature sensitive organisms living under the sea by not dumping hot water. 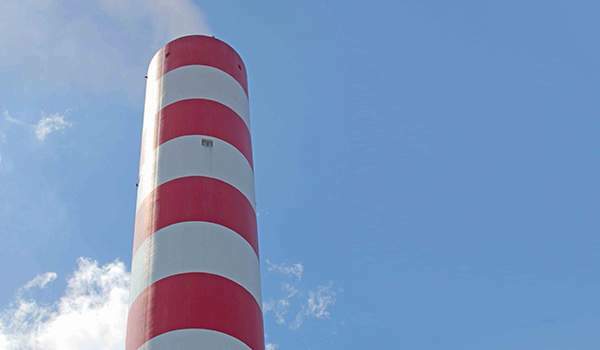 In compliance to the Good International Industrial Practice (GIIP) set by the International Finance Corporation, we build a 215-meter stack height to discharge stack gases. This height will guarantee that the Highest Ground Level Concentration (HGLC) of stack gases meet the regulatory standard. 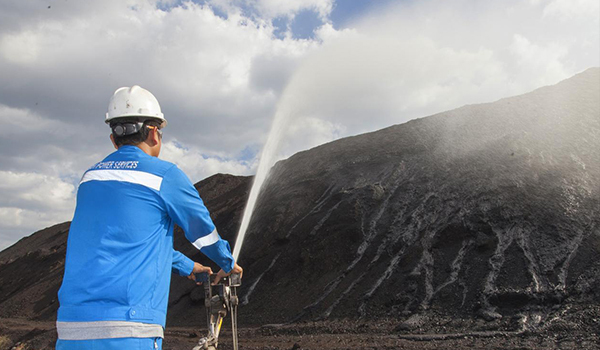 We spray pressurized water to the coal storage to capture coal dust and also to moisten the coal upper layer so that coal dust spreading is minimized. 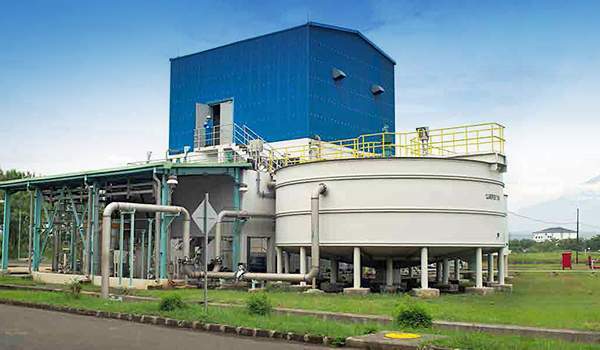 We built our chemical tanks with 110% capacity of concrete secondary containment. In the unfortunate event of any leakage, the secondary containment will prevent chemical contamination. 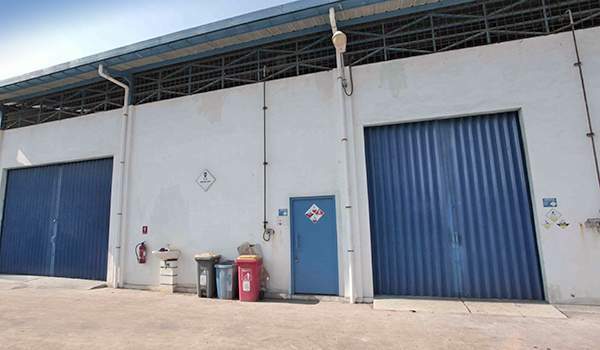 This is where we temporarily store hazardous waste such as used oil, lamps, cartridges, resin, membranes, batteries, chemicals, etc before being disposed by a certified contractor.